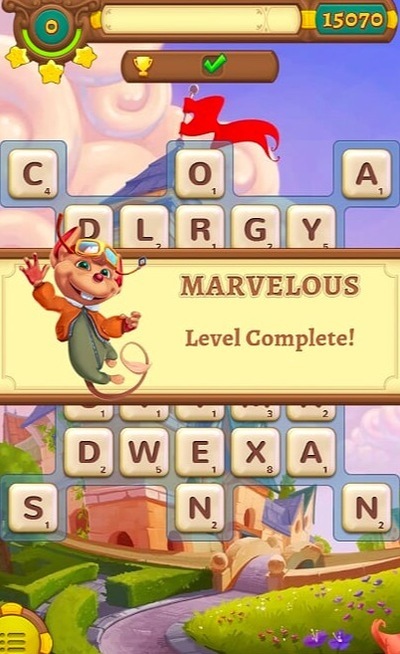 Travel the mouse world with Professor Alpha, Betty, and Barney, by completing word puzzles. Betty is a mouse who lives in the 1920s with her grandfather, Professor Alpha and his assistant Barney. Together they travel the world - one entirely populated by mice - and go off on adventures. That's the storyline of AlphaBetty Saga, a game for Android and iOS systems. It sounds like some pretty exciting missions are ahead, right? Well, actually, no. AlphaBetty Saga is not an adventure game and there is no exploring of any kind. 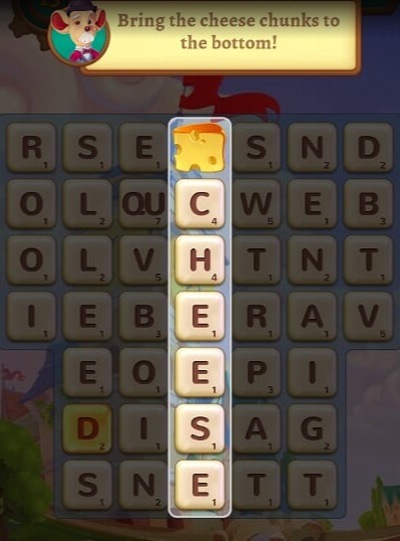 It is in fact a word game. 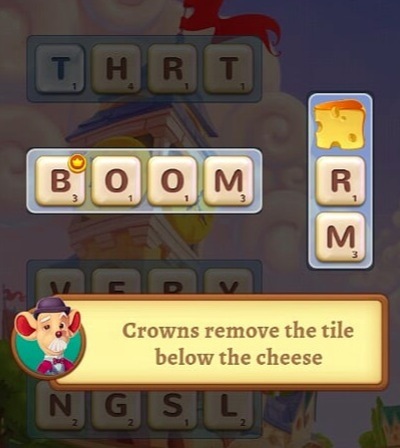 Now there is nothing wrong with a word game; I love them, and this one is as entertaining as any other. What does annoy me, however, is the storyline which is meant to lure people in. Apart from the blurb on the download page, there is nothing no story in-game, and I find that deceptive. Still, if we look past that fact, the gameplay itself is very good. The aim is to line letters on a grid (vertically, horizontally, and diagonally) to form words. 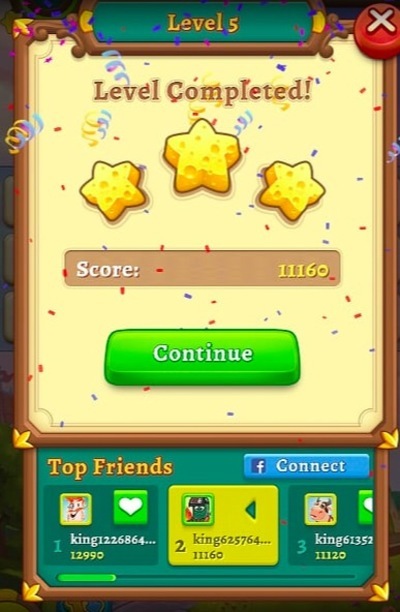 In each level there is a minimum score or a cheese quota to collect to pass. The bigger the word the more points you earn. You might then think that the obvious way to win is by finding the biggest words possible, especially since there is no time limit for you to hunt them down in. However, you need to have a more complex strategy than this. 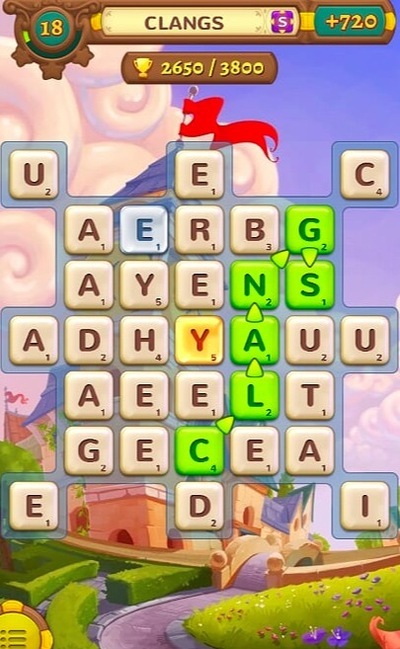 For example, some letter tiles have a bonus score, while others affect the board in special ways. 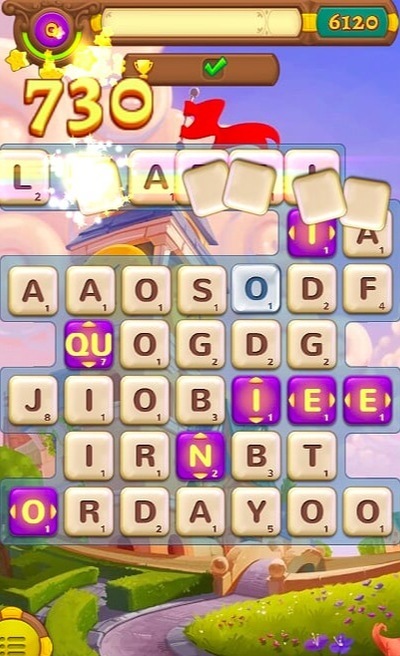 Creating four-letter words is all important if you want to remove the maximum number of tiles. 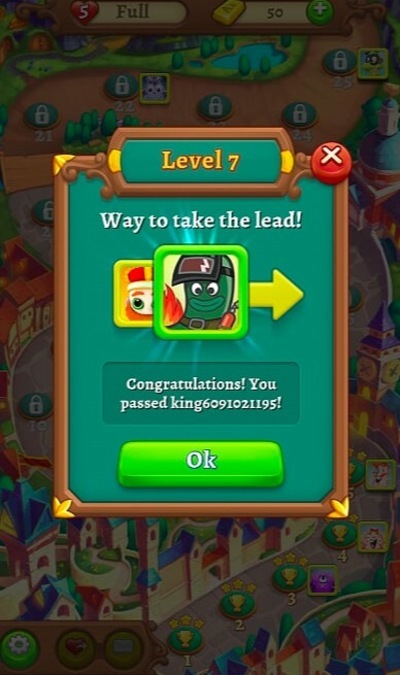 The graphics to the game are attractive, with the menu screen looking particularly bright and cheery as it shows your progression to sac new level. 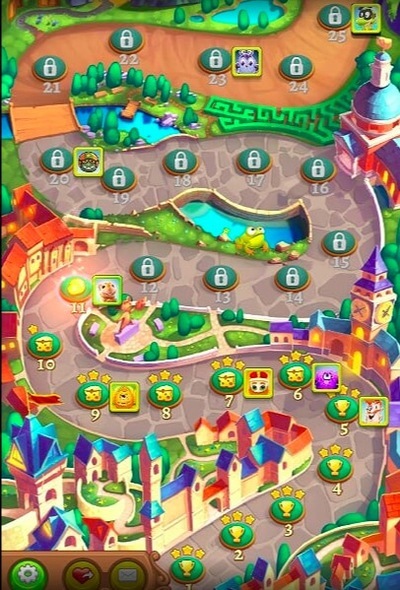 There are over a 100 to complete, and since these sorts of games are always updated, by the time to reach the end, another series of levels will have been added. 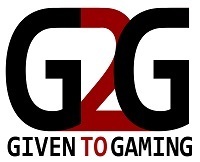 The game is free to play, but there are in-game purchases available. I always have a bit of a chip on my shoulder about these, because by the time you get to the harder levels, it is very difficult to progress without purchasing more lives or power ups, etc. 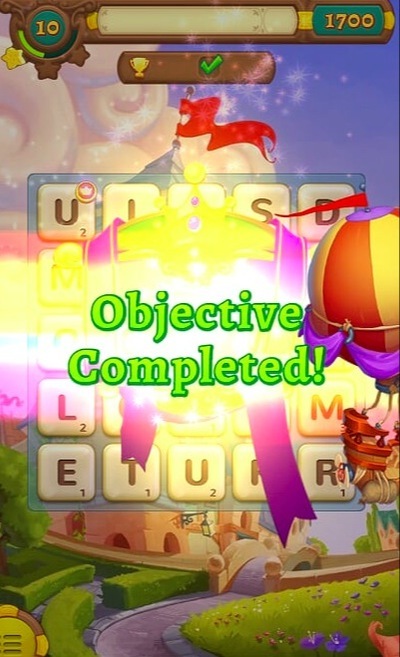 As a word game, AlphaBetty Saga is enjoyable, and keeps you coming back for more. The entire backstory behind it, however, is just a bit pretentious. Do you watch films out of season?